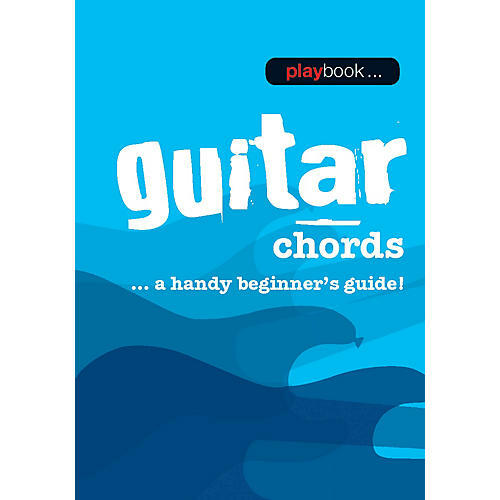 A valuable reference for use at home or on the go, the compact Playbook - Guitar Chords contains 80 pages of handy chord information designed to be flicked through quickly and easily to find what you're looking for. The Playbook's pint-sized design allows you to flip to each chord easily, wherever you are. So keep a copy at home, at the studio, or just in your guitar case so that you never forget a chord. This pocket-sized playbook includes all the essential guitar chords, helpfully divided into open chords, barre chords and power chords. Each chord is displayed as a diagram, as well as in standard notation and photographs to ensure that every one is easy to understand and play. With this innovative structure, you'll be strumming the open chords, traveling up and down the fretboard with barre chords and rocking out with power chords in absolutely no time. 2-3/4 inch. x 4 inch. spiral bound.